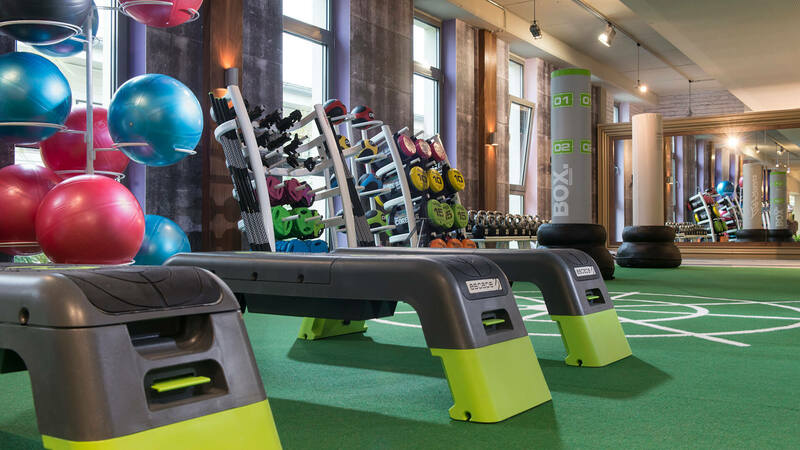 Sparcstudio were appointed by Aspria to update the interior design of their wellness gyms in several of their European clubs, following the style ideas established in the Uhlenhorst club Hamburg. The first of these projects was at Hannover, which benefits from stunning views along the Maschsee towards the city centre. The gym occupies part of the first floor of the building, and is divided in half by a central planted courtyard. 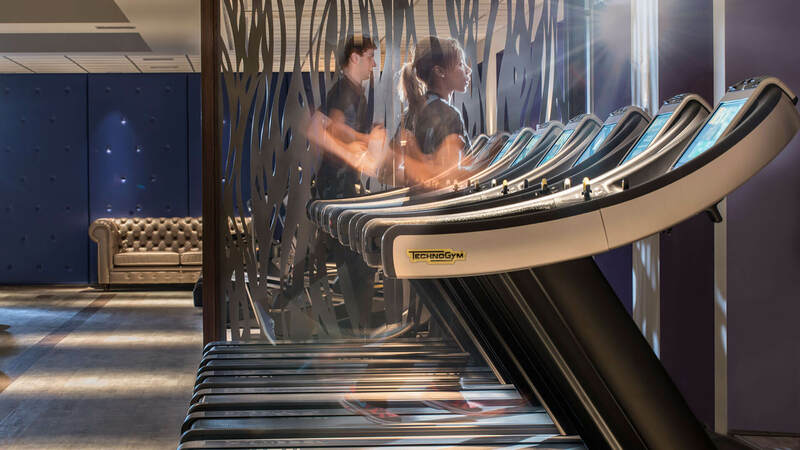 Working with the client and Technogym, key fitness zones were established, and reflected in the design of the floor finishes and the equipment layout. The zones created included a Milon circuit, which was envisaged as a clean white space to work with the equipment, a functional zone and rig by Escape Fitness, with a brighter colour palette of blues and greens, and a cardiovascular zone with upholstered paneling and decorated walls in Aspria’s signature purple. Bespoke wallpaper in different designs from Tektura’s ‘Brick, Wood and Concrete’ range helped to define the zones and create a linking theme to unify the whole area. Part of the new offer was a games area with pool table and table football, and Aspria’s signature ‘Expert’ consultation and information zone, and ‘Aspria Pro’ assessment and treatment rooms. 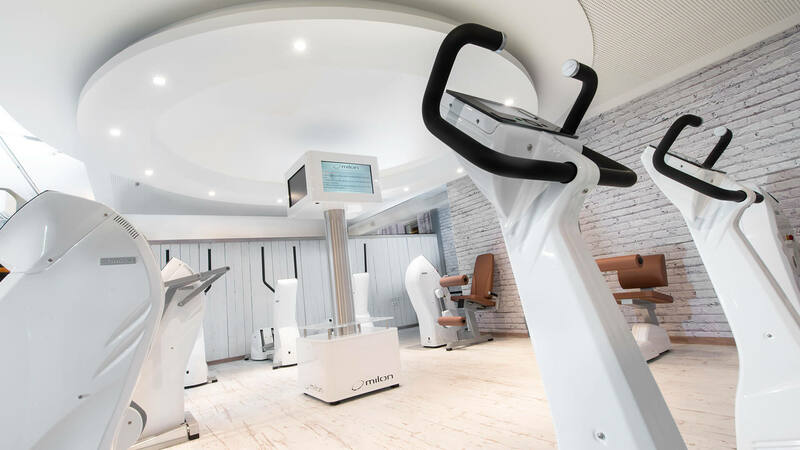 Since this project, we have redesigned the wellness areas at the Royal La Rasante club and the Avenue Louise Club in Brussels, and the Berlin Ku’damm club.